Spring is just around the corner, and preparing your garden for the arrival of the warmer months in Brisbane is important to achieve healthy and lush greenery for the rest of the year. There are many garden products available to help you fortify your garden for the change in season, but there are also a number of easy steps you can take to give your plants the boost they need to thrive in the warm Queensland weather. Always ensure that you use a fertiliser with the correct balance of nutrients for your lawn type, preferably one with a slow, even release of minerals to avoid interfering with worms and other biological processes in the soil. Fertilise lightly and frequently, and water your fertiliser in, so it dissolves in the water and passes into the soil instead of sitting on the grass blades. Try to avoid fertilising before the Brisbane wet season arrives around October and November though, because too much water will cause the nutrients to dilute or wash away. Many grasses in Queensland are drought resistant, but you’ll probably need to give your lawn a fair bit of general watering to keep it healthy. Water in the morning rather than the evening, and give the grass a longer soak, rather than more frequent light showers, leaving a good drying out period in between. Mulching is a great way to naturally hinder weed growth and keep your garden healthier and more attractive. It’s best to fertilise and mulch trees, shrubs and garden beds when the soil becomes warmer at the beginning of spring. Always water adequately before and after fertilising to disperse the nutrients through the soil, and always give the soil beds a good soak before mulching. Low-phosphorus formulations are best for sensitive native plants like grevilleas and banksias. Popular mulches for Queensland gardens include nutrient-rich sugar cane hay mulch, lucerne, pine bark and peat moss. As soon as new growth begins on your perennials, prune them back to keep them on their seasonal cycle, and cut the dead stems off plants that need new growth for budding. It’s easier to weed when your topsoils are damp from the cool weather, and you will also get to the weeds before they warm up and proliferate. But remember not to throw them into your compost, because they will end up back in your garden! Unfortunately, the return of spring means the return of nasty critters like nematodes, caterpillars, aphids, beetles, and fruit flies. But a natural way of controlling these pests is to plant plants that attract good insects (like ladybirds and bees). Flowers like marigolds and daisies, herbs like sage, rosemary, dill, and coriander, cabbage family plants, and vegetables like chokos are a natural way to attract the helpful predators of nasty insects. Queensland fruit flies will typically increase their activity at the onset of spring, so consider covering your fruit trees with nets, bags or sleeves (all the way to the ground, and secured at the base) to prevent their access. Pick all ripe fruit, and collect all fruit that has fallen from the tree, as rotting fruit will attract the flies. There are also a number of common weeds you can expect to start popping up in the warmth, including bindiis. Regular mowing can cut off the stalks and seed heads of many lawn weeds, effectively preventing their spread before their seeds have formed. For stronger methods of pest control, there are a number of herbicides and insecticides you can use to combat infestations and protect your garden, but always get good professional advice about their application and suitability to your garden and plants before you start. You will also want to buy or start collecting containers for your seedlings, and to start planning and obtaining your seeds. 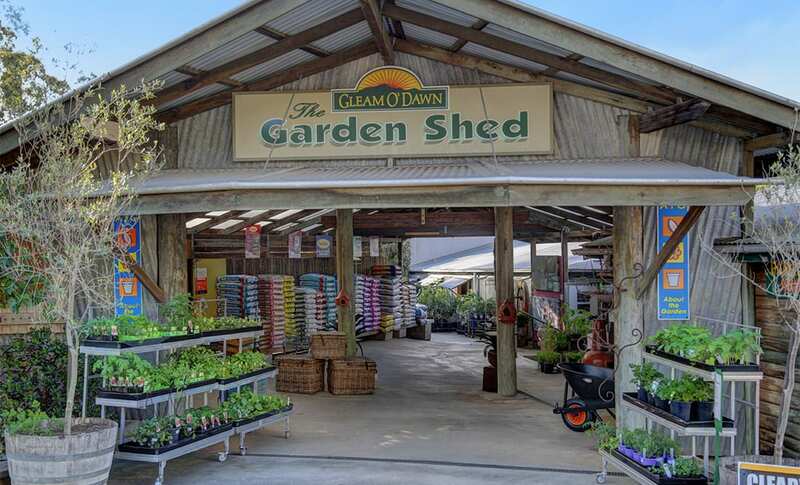 For more information and gardening tips for preparing for the coming spring, or to view Gleam O’Dawn’s wide range of gardening and plant supplies, contact us or drop into our store.